The 20+ Best Scavenger Hunts for Kids (and why you’ll love them!). Looking for engaging and creative activities for kids? 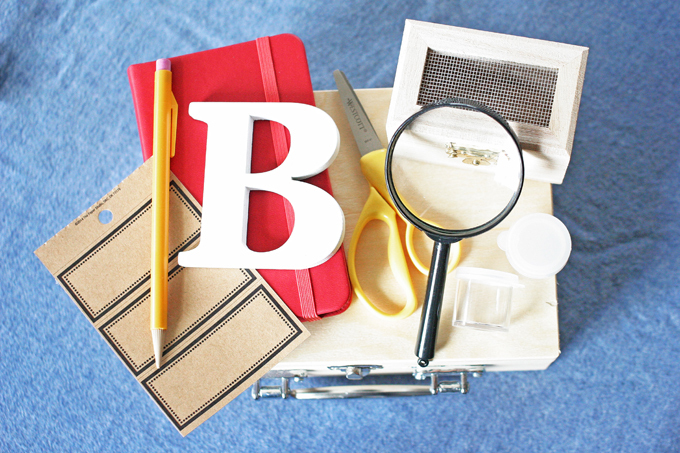 You’ll love these creative scavenger hunt ideas! It’s no secret that I love a creative scavenger hunt. It’s an activity that adults and kids can enjoy together as a family. Whether at a party, on a trip, or in your own neighborhood, scavenger hunts for kids are a great tool for encouraging critical thinking, physical activity, and the ability to work as a team. 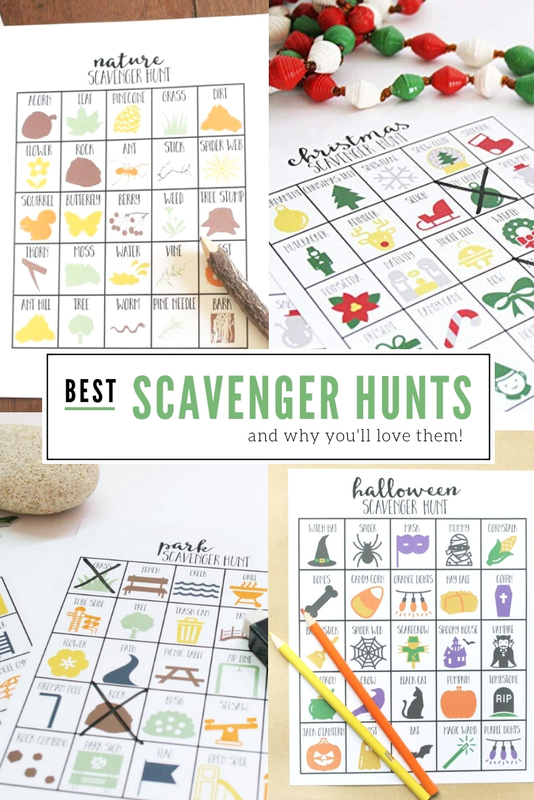 In this post, I’ve pulled together my favorite printable scavenger hunts — including those that are based on images, words, and riddles! The mix includes hunts which are geared toward everyday activities (such as a park scavenger hunt), holiday parties (like this Christmas party game), and special events (such as a child’s superhero birthday party). Some of the printables are free, and others are paid, but they are all affordable. Which is one of the things I love about Printable Scavenger Hunts — affordable, engaging, games that don’t take up space in my closet. The classic Scavenger Hunt Game is in checklist format. As each item is found (or each task is completed), mark a check next to the item. The game is complete when either (1) all items are found / tasks are complete or (2) a set time allotment is over. The winner would be the person/team that either (1) finished first or (2) completed the most tasks. Similar to a checklist scavenger hunt, except each of the listed items are collected. For example, if it were a Nature Scavenger Hunt, the competitors may collect items such as rocks, sticks, etc. to show that they have completed the full list of scavenger hunt items. Particularly great for scavenger hunts with a list of places, the photo scavenger hunt is a fun twist. In a photo scavenger hunt, the individual or team members photograph themselves at each location they visit through the game. Each individual/team receives a point for each location visited (plus, participants go home with a ton of fun photos!). Similar to a photo scavenger hunt, a video scavenger hunt uses video recordings instead of photos. It’s perfect for a scavenger hunt which includes completing tasks. For example, participants could be required to video themselves completing each task in a Park Scavenger Hunt, such as sliding down a tube slide or climbing the fireman’s pole. Nature Scavenger Hunt – Learn how to go on a nature scavenger hunt with the whole family. Download this free printable scavenger hunt for kids and set up a fun outdoor experience in minutes (even if it’s just in the backyard!). Selfie Scavenger Hunt – This selfie themed photo scavenger hunt is perfect for older kids and teens. Several versions include a mall, indoor, and outdoor list. Park Scavenger Hunt – Head over to the nearest playground or state park for a scavenger hunt. Search high and low for 25 park-themed items and mark them off as you go. Indoor Scavenger Hunt – COMING SOON – No need to go anywhere in order to complete this Scavenger Hunt! Themed with everyday indoor items, it can be played at the house, in an office, or at a Church, for example. Farm Scavenger Hunt – Kids can learn about farm animals and produce while completing this darling On the Farm Scavenger Hunt. Zoo Scavenger Hunt – Perfectly mixing education and fun, this Zoo Scavenger Hunt can be paired with a school field trip or a family outing. Service Scavenger Hunt – Bless your community while competing in a friendly game! This Service Scavenger Hunt includes acts of kindness such as picking up trash and carrying groceries to a car. Road Trip Scavenger Hunt – Car games are critical to smooth traveling with kids. This Travel Scavenger Hunt will entertain them as they search for vehicles, scenery, and road signs. Plus, there are 3 more printable travel games which coordinate with the Road Trip Scavenger Hunt! Camping Scavenger Hunt – If your family is avid campers, don’t miss this one! Walks around the campground are engaging as kids mark off each item they find. Take it up a notch with a Camping Riddles Scavenger Hunt which challenges kids to solve simple clues in order to complete each step. 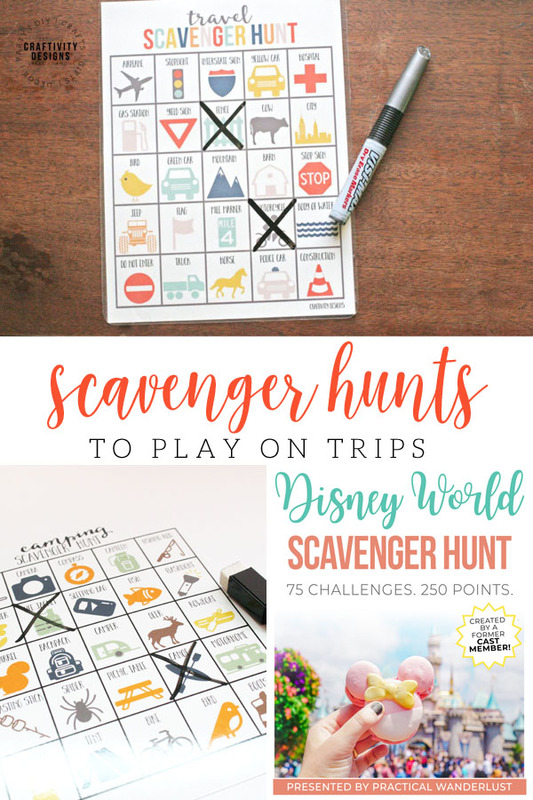 Walt Disney World Scavenger Hunt or Disneyland Scavenger Hunt – These Disney Scavenger Hunts are a must for a family of Disney fans — especially if you have older kids! Designed for adults, this scavenger hunt isn’t easy — and the kids won’t be able to play by themselves. However, isn’t Disney all about family, anyhow? Work on these scavenger hunts together. New York City Scavenger Hunt – Headed to the Big Apple? City trips aren’t always as exciting to kids as the Beach or the Amusement Park, but it doesn’t have to be that way! Mix in a few kid-friendly activities and encourage them to complete a New York City Scavenger Hunt while you tour. Louisville Scavenger Hunt – COMING SOON – So, I’m a bit biased… this is my hometown! Whether you are local to Louisville or visiting The Derby City, this fun Scavenger Hunt will help you tour the city. New Year’s Eve Scavenger Hunt – Such a fun take on a Scavenger Hunt — this hunt includes a new clue each hour as kids countdown to midnight! Valentine’s Scavenger Hunt – Celebrate the LOVE-ly Valentines’s day holiday with an alternative to sugar-loaded treats! Easter Scavenger Hunt – A faith-based Easter Scavenger Hunt which walks through the story of Jesus Christ, teaching kids about His death and resurrection as they complete each task. Fourth of July Scavenger Hunt – Sing-song riddles carry kids through a Fourth of July Scavenger Hunt, perfect for killing time while waiting for the fireworks. Halloween Scavenger Hunt – Walk through the neighborhood to complete a Halloween decoration seek-and-find. What ghouls, goblins, and Halloween sights can you find in your neighbors’ front yards? Thanksgiving Scavenger Hunt – Seek and find items which for we are thankful, reminding kids what Thanksgiving is truly about while they play. 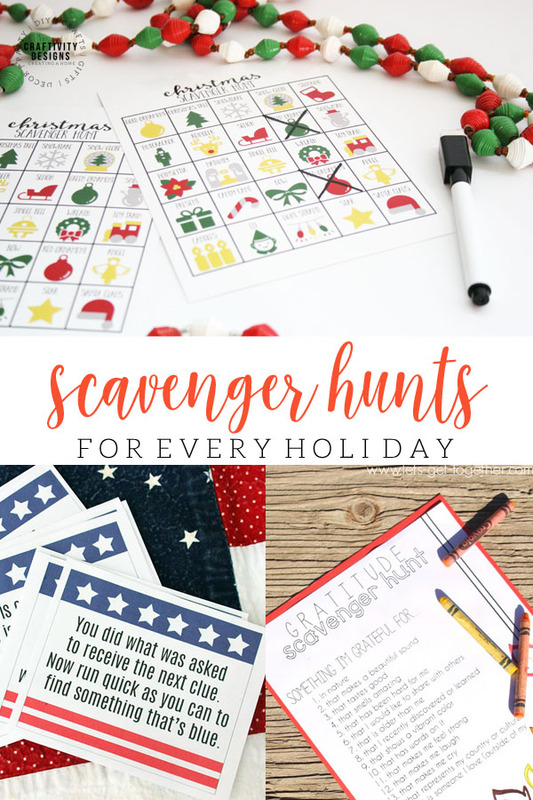 Christmas Scavenger Hunt – Tuck this sweet little Scavenger Hunt Game right into Christmas stockings. Once the gifts are all opened take the family for a ride around town, completing the hunt while looking at Christmas lights. Superhero Scavenger Hunt – Hosting a Superhero themed party? 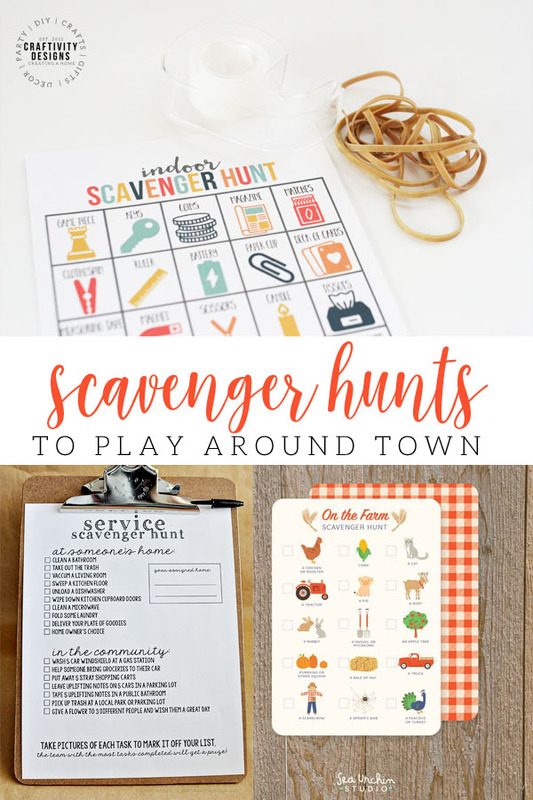 This scavenger hunt is a must-do, complete with the game board and coordinating search cards. Mermaid and Pirate Scavenger Hunt – If you have a mermaid or pirate fan, they are sure to love this creative scavenger hunt. Wall-e Scavenger Hunt – Looking for an affordable family night in? Gather the kids to watch Wall-e, followed by a fun scavenger hunt. Unicorn Scavenger Hunt – This sweet little Scavenger Hunt is darling, and perfect for your favorite unicorn fan! How to make a Nature Kit for kids, and take them on a nature adventure! 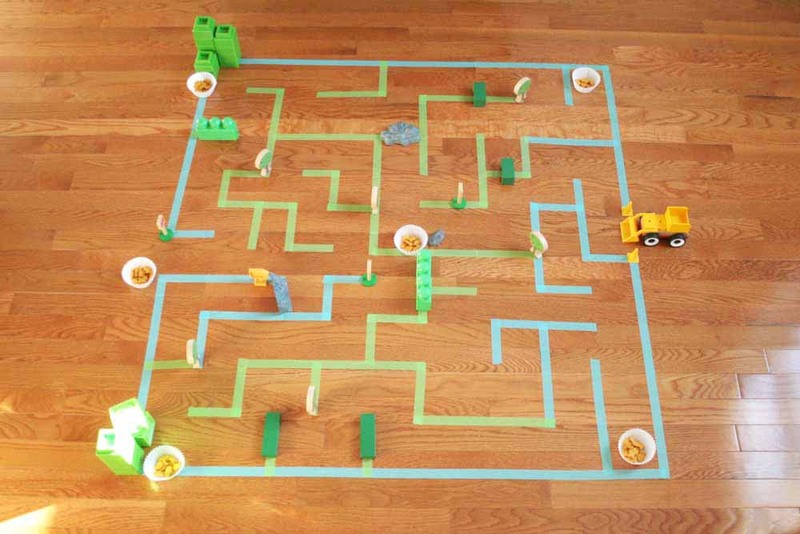 How to make a giant floor maze, with a free template in the post! 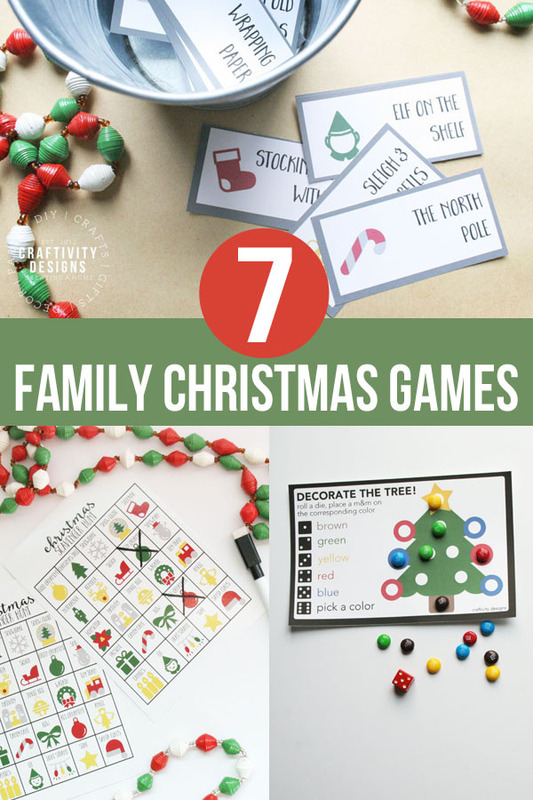 7 Family Christmas Games that make great Stocking Stuffers.